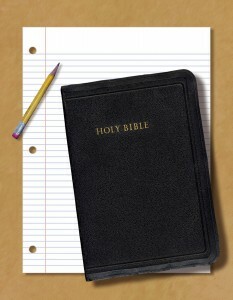 MONTGOMERY, Ala. — An Alabama senator has prefiled a bill that would authorize the offering of elective Bible classes in public schools in the state, following in the footsteps of several lawmakers who have recently offered similar bills in other states. Senate Bill 14, submitted by Senator Tim Melson, R- Florence, would also allow all teachers to display artifacts, symbols, and texts in the classroom—including those of a religious nature—if those items would relate to the study at hand, such as a comparative religions lesson. Students will learn about “[t]he influence of the Bible on law, history, government, literature, art, music, customs, morals, values, and cultures,” as well as the history of the Bible and its contents. Senate President Pro Tem Del Marsh has expressed support for the measure. “If students choose to study Biblical literacy as an elective in school, then there is no reason why that should not be allowed,” he remarked in a statement. The Alabama Citizens Action Program (ALCAP) is also backing the effort. As previously reported, similar bills have been introduced in Virginia and Florida. A North Dakota bill that would have authorized the creation of the Bible classes was rejected in the state Senate last month. President Trump has expressed support for the offerings.